White blood cell. False-colour transmission electron micrograph (TEM) of a type of white blood cell known as a granulocyte. A number of cell organelles can be seen. At centre is a dumbbell- shaped nucleus (red). The green-coloured chromatin within the nucleus contains the DNA chromosomal material. The cell cytoplasm is blue-green. The red objects are lysosomes, which store enzymes. 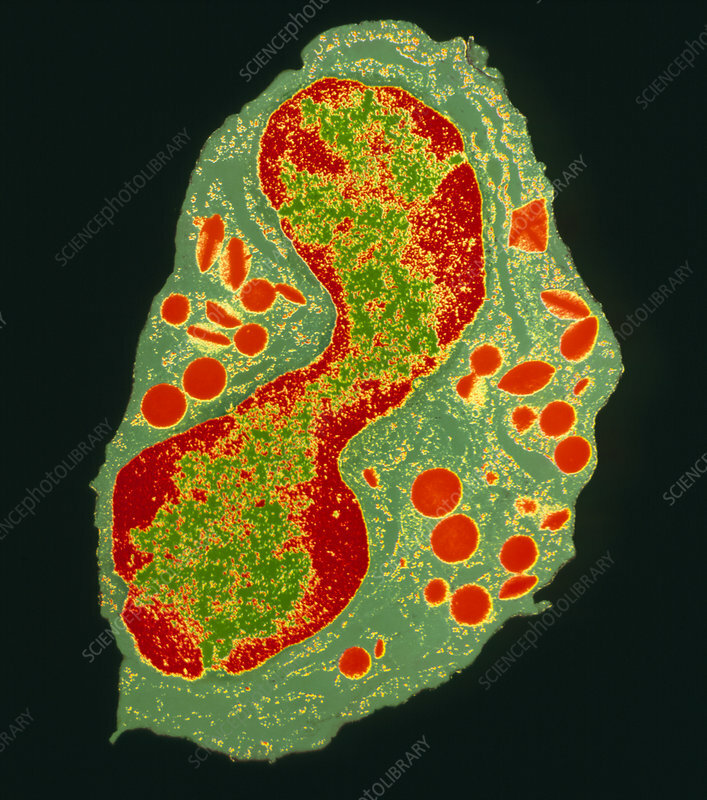 White blood cells with this type of multi-lobed nucleus and with lysosomes in their cytoplasm are called granulocytes. This specimen was taken from mammalian bone marrow. Magnification: x6500 at 6x6cm size.